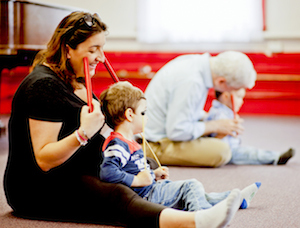 The Early Childhood program at the New School of Music is designed to provide our youngest students with a fun and developmentally appropriate introduction to music instruction. Each of these classes focuses on the building blocks of music and child development, using movement, ear training, simple instruments, and creative play. Every class will provide a solid foundation of musical skills, and will help prepare children for whatever path they follow, be it group instrument classes, our choral program, or private lessons. Classes take place over the course of the year in three 8-10 week terms (Fall, Winter & Spring). Students are welcome to repeat a class or advance on to the next age group – whatever feels comfortable! Please call the New School of Music for information about future sessions of the Infants class. This class provides a joyful introduction to music for infants and their parent/caregiver. Songs, rhymes and fingerplays are used to create a developmentally appropriate first experience. Parents and caregivers will learn ways to engage with their child in a musical way. A continuation of our infant class, toddlers class will explore musical concepts through movement, songs, rhymes and finger plays. 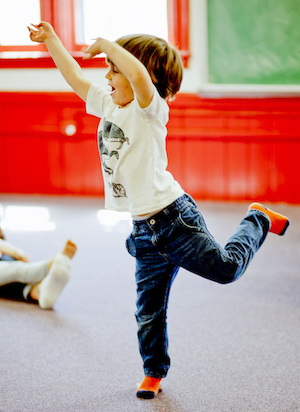 This play based approach will offer an opportunity to develop gross motor skills, expressive and receptive language and promote social emotional growth while fostering musicality. Parents and caregivers are encouraged to engage with their child to support musical learning. Most importantly, we will celebrate the joys of making music with our friends. No prerequisite class required. 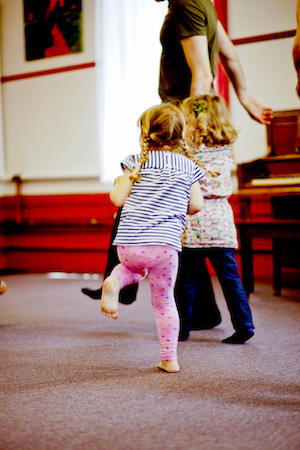 This class will continue the concepts addressed in Music & Movement: Toddlers, while adding more movement activities and rhythm games. We’ll begin learning basic Solfege patterns and note reading, along with improvisation and ensemble work. No prerequisite class required. Please call the New School of Music for information about future sessions of the Kindergarten class. The last class in our sequence, this section will allow students to more deeply explore musical concepts such as melody, harmony, rhythm, tempo, dynamics, and notation. Students will use singing, improvising, body percussion, and performing to each other to gain musical skills that will aid them in any kind of future study, such as private lessons, instrument group classes, or a choral ensemble! No prerequisite class required.